The New Beverly Theatre features 2 classic “gun fu” classics The Killer and Once a Thief on March 17. 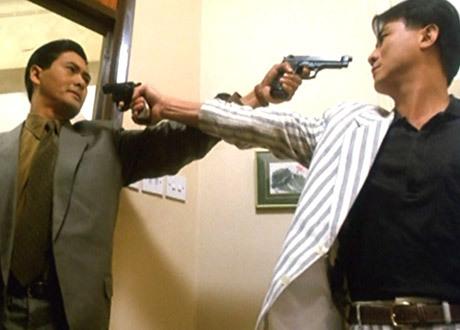 Though I’m not apt to mix too much gun fu into Kung Fu LA threads, John Woo’s films cannot be easily dismissed. Woo was once an assistant director to legendary director Chang Cheh, and his influence onto him is readily apparent. Combining Cheh’s love of violent bloodshed with the visual style of martial arts choreography, Woo redefined the action genre. This inspiration helps explain the crossover appeal to kung fu aficionados. John Woo was one of the biggest influences on Western action movies in the 90’s, hence when Quentin Tarantino dedicated March to his favorite 90’s movies at the New Beverly, he selected these two Woo classics. New Beverly will be featuring a few more kung-fu movies for the 90’s themed March! Including Tsui Hark and Stephen Chow, coming shortly.